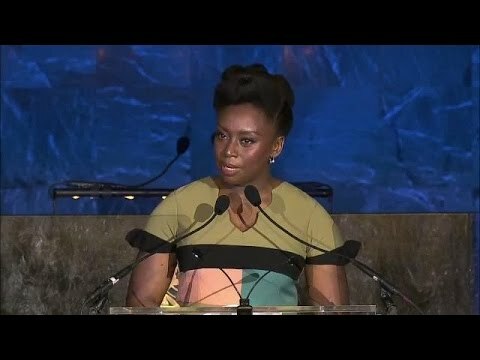 Zum United Nation’s World Humanitarian Day 2016 hat die Schriftstellerin Chimamanda Ngozi Adichie eine pointierte und bedeutsame Rede gehalten. Sie plädiert für mehr Menschlichkeit und einen offeneren Umgang mit flüchtenden Menschen. In ihre Rede verweist sie auf die Fluchtgeschichte ihrer eigenen Eltern während des Biafra-Krieges in den 1960er Jahren in Nigeria und appeliert an ihre Zuhörer*innenschaft, denen, die Schutz suchen, Raum zu geben. Menschen nicht gewaltsam auf eine Eigenschaft oder einen Status zu reduzieren, ist eine der zentralen Aussagen ihrer Ansprache. Stattdessen sei ein wichtiger Schritt auf dem Weg zu einem tragfähigen Miteinander, alle Menschen differenziert zu betrachten und anerkennend als individuelle und komplexe Charaktere wahrzunehmen. “Distinguished guests, ladies and gentlemen, good evening. I’m very honored to be here. In 1967, almost 50 years ago, my parents lived in Nsukka, a university town in Eastern Nigeria. They had 2 small children, a house, a car, friends. A stable life. Then the Nigeria Biafra War started. 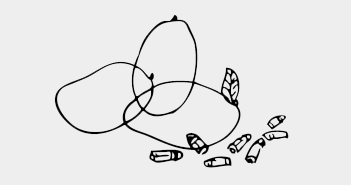 Only days later, my parents heard the sound of shelling and gunfire. So frightening, so close, that they had very little time to pack anything before they ran. They left almost all their belongings behind. They ended up in another town, a town already very crowded. They could not find a place to stay. Even the refugee camps were full. My father was desperate. He was worried about being out in the open, because of the possibility of air raids. He knew a man who was from that town, a man named Emmanuel Isike. Emmanuel lived in a cramped house, that was full of people. Members of his extended family, people whose homes the war had also smashed. My father also knew that it would be very difficult for Emmanuel to accommodate them. Very difficult to stretch what was already badly stretched. Still, my father knocked on Emmanuel’s door. Emmanuel looked at my parents, holding on to their 2 small daughters, their faces shadowed in despair. And he said, “We will make room for you.” I think often of that moment. Because I wonder if my parents would’ve survived the war, had they not benefited from that act of kindness? For 3 years, my parents were refugees. And they owed a lot, not only to Emmanuel, but also to many humanitarian workers. Those women and men, magnificent in their bravery and their vulnerability and their commitment. But my parents were not just refugees. Nobody is ever just a refugee. Nobody is ever just a single thing. And yet, in the public discourse today, we often speak of people as single things. Refugee, immigrant. We dehumanize people when we reduce them to a single thing. And this dehumanization is insidious and unconscious. It happened to me some years ago. I was visiting Mexico from the US. And at the time, just as it is now, the political climate in the US was tense. And there were debates going on about immigration. And immigration was often synonymous with Mexicans. And Mexicans were all portrayed through a singular lens of negativity. There were stories about Mexicans being arrested at the border, stealing, fleecing the health care system, bringing disease. I remember walking around on my first day in Guadalajara, a beautiful city. Watching people who were going to work and school. People who are laughing. People who were buying and selling in the market. At first I felt surprised, and then I was overwhelmed with shame. I realized that I had been so immersed in the American media’s narrow coverage of Mexicans, that I had forgotten their humanity. And I could not have been more ashamed of myself. In my language Igbo, the word for love—In Igbo, the word for love is Ifunanya. And it’s literal translation is, “To see.” So I would like to suggest today that this is a time for a new narrative. A narrative in which we truly see those about whom we speak. Let us tell a different story. Let us tell the story differently. Let us remember that the movement of human beings on earth is not new. Human history is a story of movement and mingling. Let us remember that we are not just bones and flesh, we are emotional beings. We all share a desire to be valued, a desire to matter. Let us remember that dignity is as important as food. When we speak of people who are in need, let us speak not only of their need, but also of what they love. What they resent, what wounds their pride, what they aspire to. What makes them laugh? Because if we do, then we are reminded of how similar we are in the midst of our differences. And we are better able to imagine ourselves in the same situation as those in need. I am not making the simplistic suggestion that all borders must be completely open. Because that is impractical. There might not be enough room for everyone. But there is certainly room to do more. There is room to honor more commitments. Room to bridge the divide between what has been promised, and what has been accomplished. Emmanuel could’ve said, “No,” to my parents. And he would’ve had understandable reasons for saying, “No.” But he chose to say, “Yes.” And his reason for saying yes was his humanity. We can create room for people. And today in this world that has been scarred by so much suffering, creating room for people is not only doable, it is a moral imperative. It is the moral imperative of our time.